Even removing any social justice or political overtones, as a community, Buffalo has a tortured relationship with national chains, especially chain restaurants. 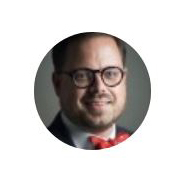 On one hand, we are proud of our superlative and eclectic local dining scene, and we are very encouraging and protective of our Western New York neighbors trying to make it in the slim-margin restaurant world. One the other hand, though, we bear a chip on our collective shoulder when Western New York “doesn’t fit into the business model” of some trendy shop we saw on vacation or a Shangri-La Superbowl advertiser. “It’s fine,” we say, like any other jilted lover, if a national company ignores us– but then we drop everything and fawn when they pay us any attention. For a little while anyway, depending on the brand. 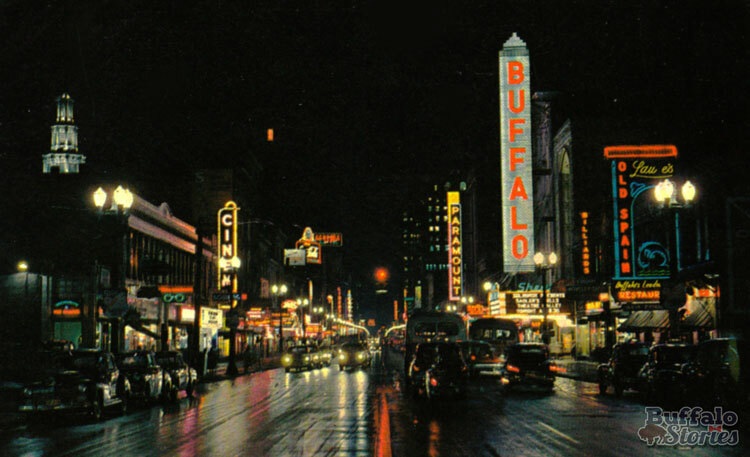 The fact is Buffalo has a pretty good handle on quick pizza, coffee, and subs, and those places did little to ignite our imaginations here. 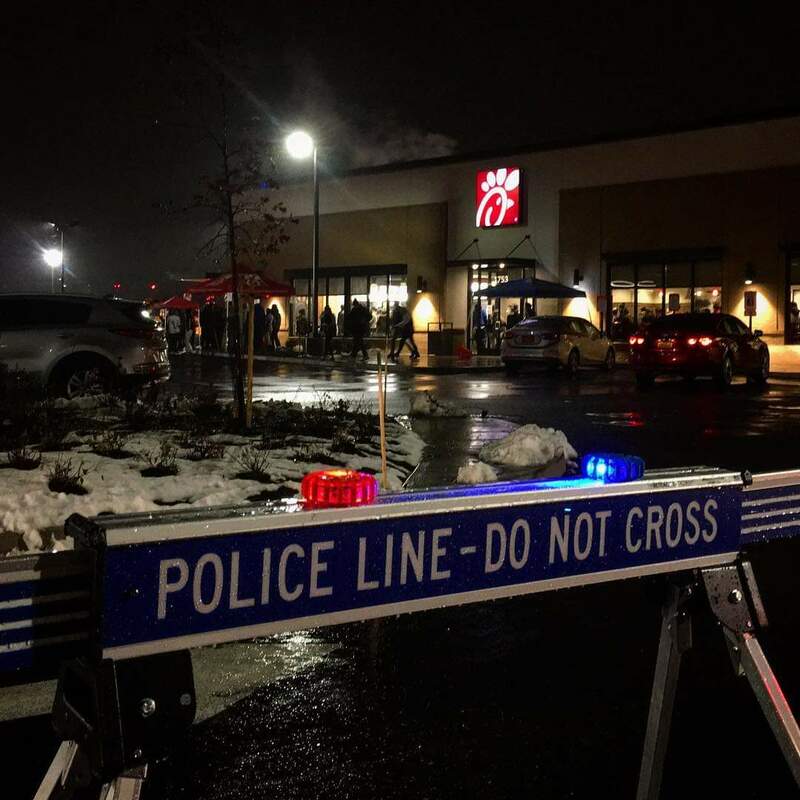 Just like with this week’s bated-breath arrival of Chick-Fil-A, a handful of big chains have made headlines with their much-anticipated grand openings in Western New York. 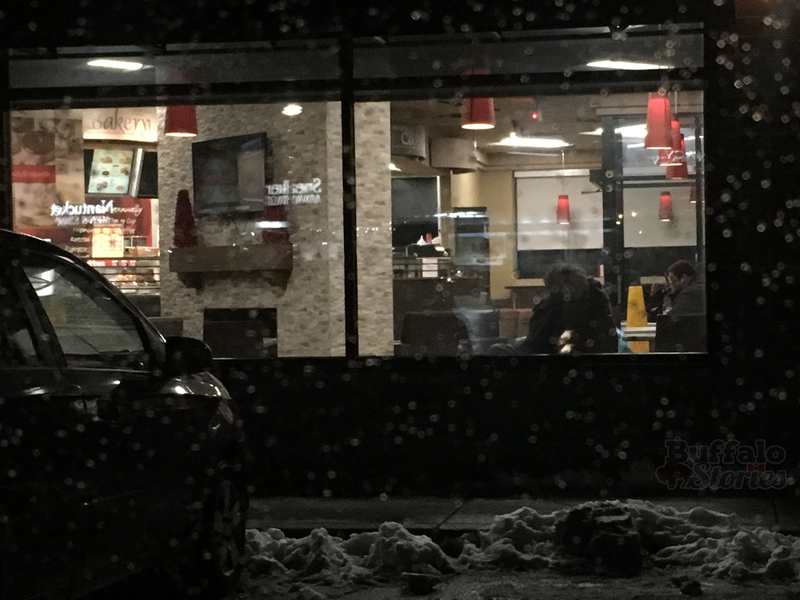 In 2013, Popeye’s came to Elmwood Avenue in North Buffalo and in 2015, Sonic opened on Union Road in Cheektowaga, each with much fanfare, long lines, and news coverage. 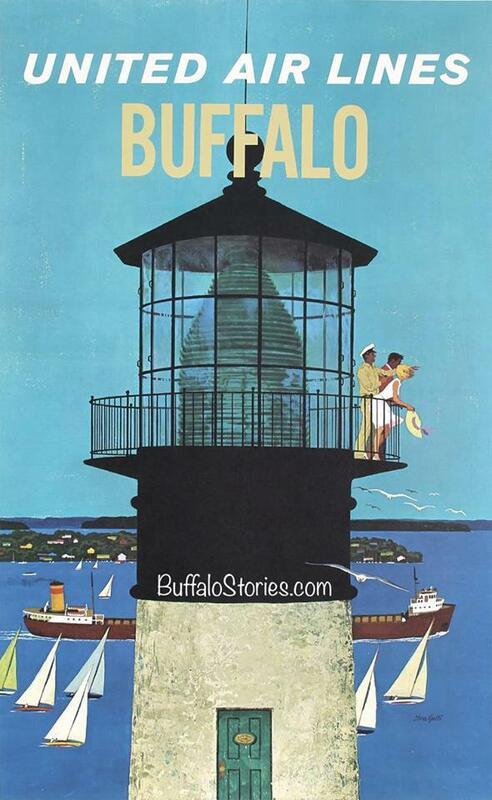 Both were nationally advertised brands that Buffalonians might have only sampled on vacation. That notion of seeing something great elsewhere and wanting it here extended to grocery stores as well. 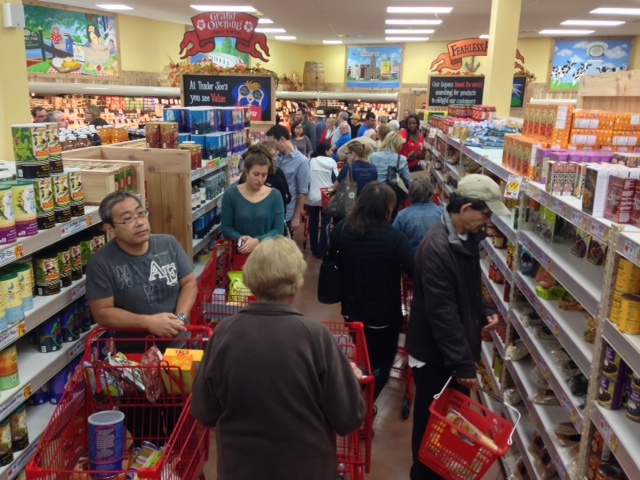 Wegmans remains a beloved local giant, but when Trader Joe’s and Whole Foods came to town, many waited in line to give them a try. By now, whether you’re a Buffalonian who waits in line or Western New Yorker who scoffs at the queues, just about everyone expects a line when something new comes to town. Even if you don’t “get it,” you know it’s going to happen—ever since the grand-daddy of all mass-hysteria snaking lineups happened in October, 2000. 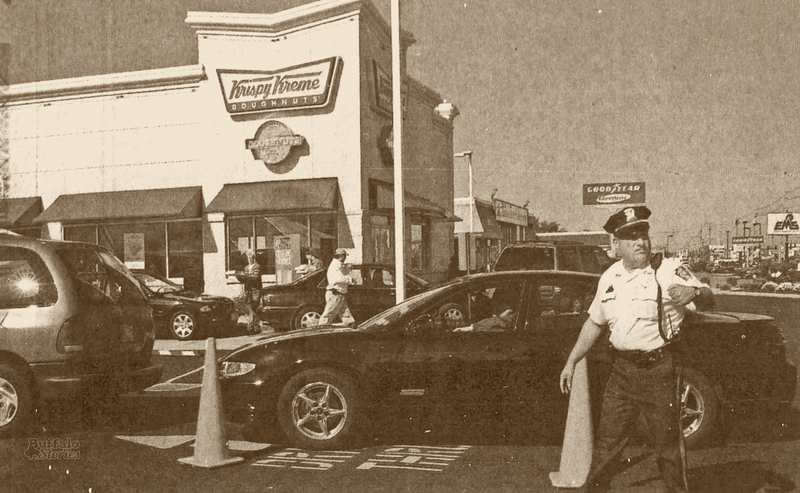 Directing traffic outside Krispy Kreme, 2000. Just like all Buffalo snow storms are measured against the Blizzard of ’77, all Buffalo grand-opening crowds are measured against Krispy Kreme. Because of the blizzard, we recognize that any snow can quickly become an emergency. 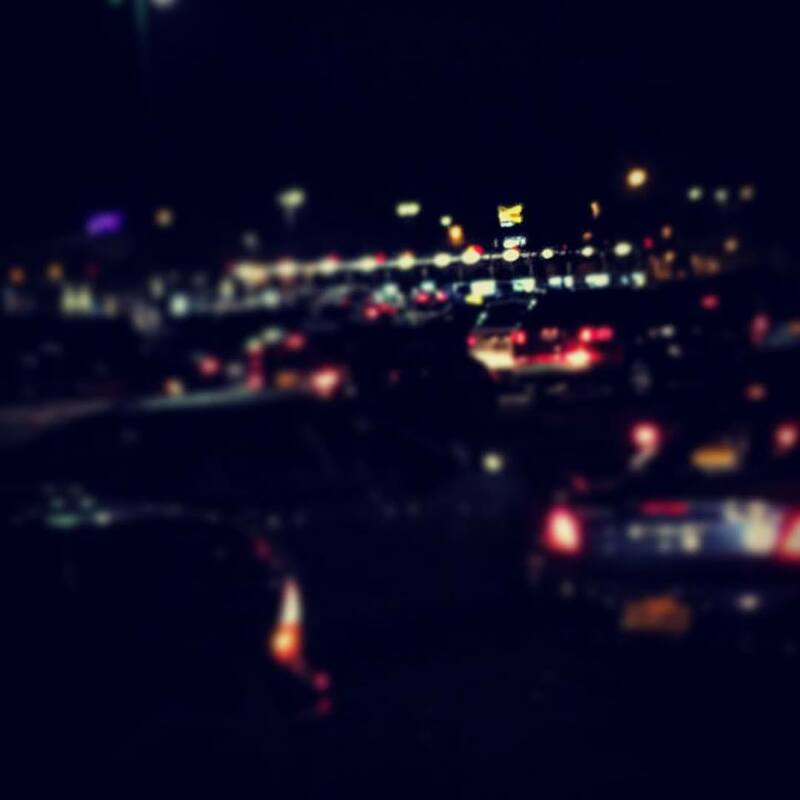 Because of Krispy Kreme, we know our fellow Western New Yorkers can’t wait to get into a newly opened chain. Both the ’77 and ’00 watermark events started slowly. 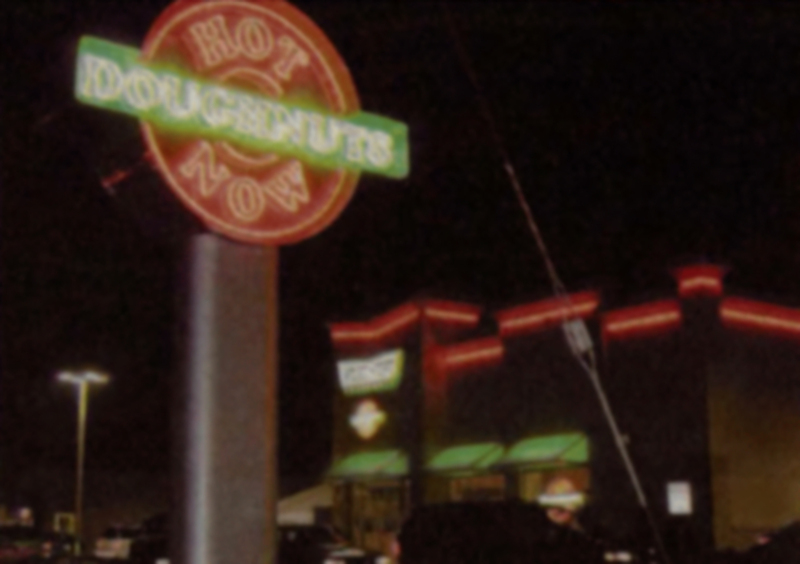 Krispy Kreme hired an off-duty police officer to handle traffic and two Town of Tonawanda cars were sent to the scene on that first morning on Oct. 3, 2000. Making the donuts at Krispy Kreme’s now-closed Niagara Falls Blvd. store. 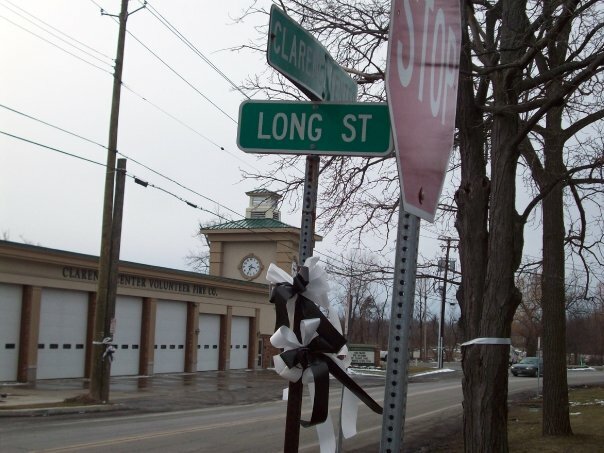 “Traffic was backed up two blocks to Brighton (Road), and there were women with babies in strollers, all sorts of people just milling around watching the action,” said Town of Tonawanda Assistant Chief Robert Rowland on that first day. Traffic stayed heavy all day. More than a week later, on Oct. 11, store manager Dave Benfanti told The News, “We never expected the opening to be this big.” Several nearby businesses like Goodyear Tire, EMS, and M&T Bank reported their parking lots were still being filled with more Krispy Kreme customers than their own. A month later, only a few days before Election Day, the lines were still long as First Lady Hillary Clinton and her daughter Chelsea came to Buffalo in the closing moments of what would prove to be Mrs. Clinton’s successful run for the US Senate. A good part of the Western New York trip was spent at—yes, Krispy Kreme on Niagara Falls Blvd., with both Clintons shaking hands to those in line and signing boxes of doughnuts of those leaving. It all added to the surreal feel of Buffalo’s weird obsession of late 2000. The lines lasted longer than anyone would have expected, but they died out just as quickly. 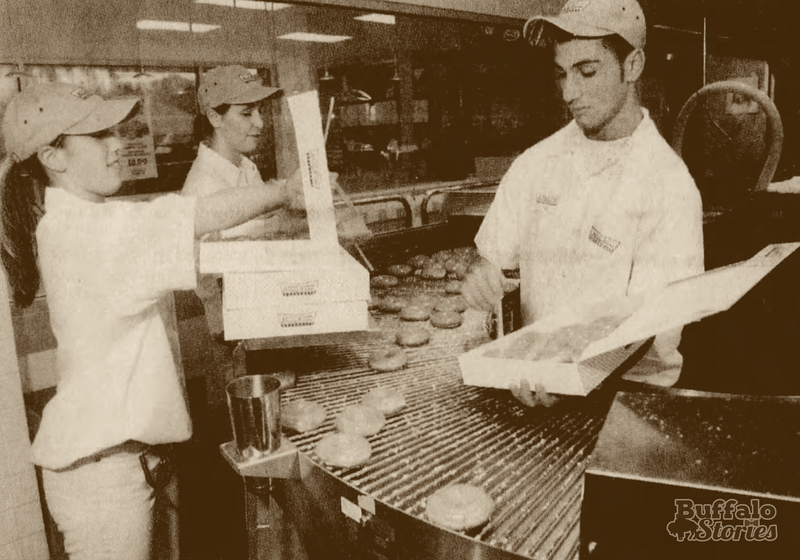 Krispy Kreme’s Western New York footprint rapidly expanded first with another stand-alone store across Walden Avenue from the Walden Galleria, and then by making the doughnuts available in each of the several dozen Wilson Farms stores in the area. Niagara Falls Blvd store, now just a memory. Five years later though, in August, 2006, it was announced the stores would close and the red glow of the “Hot Doughnuts Now” sign was forever darkened, but the memory is forever imprinted on our psyche. The lasting result of the Krispy Kreme story is a lot like the result of the Blizzard. Until the last person who remembers the epic snow of 1977 is gone, whenever it snows a little more than we expect, there will be someone telling the story of where they were, and how the snow drifts reached the traffic lights. And whenever we Buffalonians get overly excited about a fast food joint, national grocery store, or heaven forbid—someday an Ikea store, we remember with smiles, frowns, and a sense of bewilderment the great Krispy Kreme rush of 2000. Timon Turnback: Getting on the bus, 1959. The record library here in our Genesee Street studios boasted more than 10-thousand recordings. 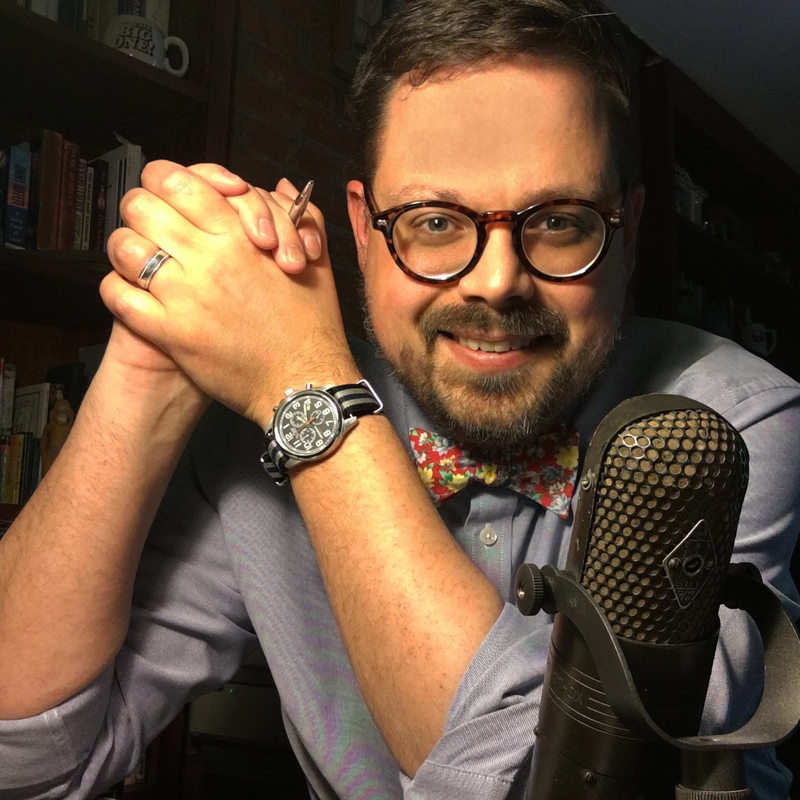 Sixty years ago, it was a difficult decision for a radio station to play rock ‘n’ roll music full-time, like WECK does now. WNIA Founder Gordon Brown, remembered in his hometown Democrat & Chronicle in 1979. A few years after the station first signed on, a group of local singers—all high school students– at WAY Radio productions sang the jingles you can hear in the piece linked above. One of those singers was Tom Donahue. That means his voice has now been heard professionally on the station for more than 50 years. We’re continuing to talk about the early rock ‘n’ roll history here at 1230am. There were dozens of young disc jockeys who played the hits here at Buffalo’s upstart rock ‘n’ roll station. Dozens of DJs– but only 4 or 5 names. 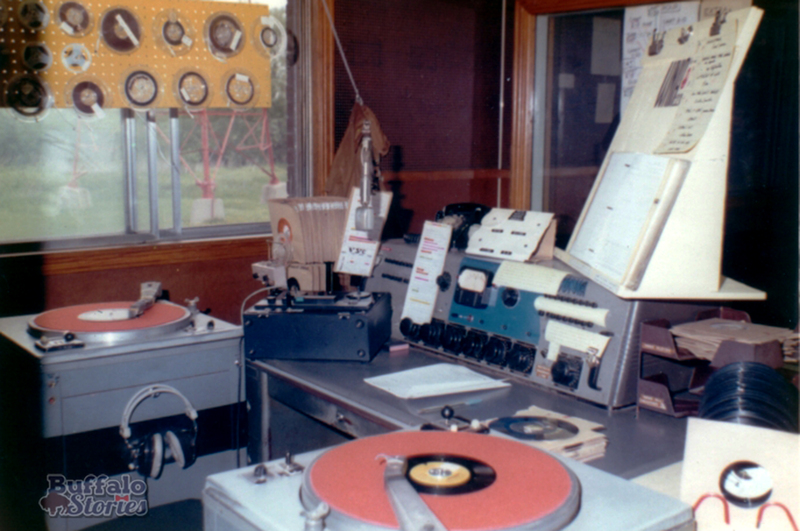 Station founder Gordon Brown insisted that the disc jockeys at the radio stations he owned use those on-air handles instead of their own. He felt the stock jock names gave a more consistent sound even as the DJs changed rapidly, it was always Mike Melody and Jerry Jack. Brown died in 1977, and the station was sold. Since then, the disc jockeys you’ve heard on WECK didn’t necessarily have to use their own names– but they didn’t have to be Mike Melody or Mac McGuire, either. WNIA poster created from original WNIA art by Steve Cichon. Midnight Mood & Be Big…. We continue our week long look back at the early rock ‘n’ roll history of 1230am. 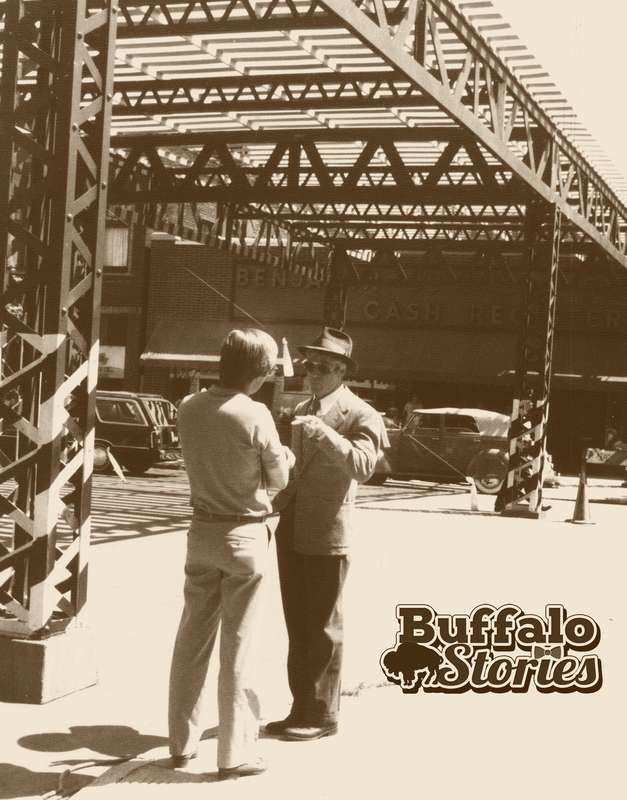 It’s one of the most requested songs as people reminisce about radio in Buffalo in the 50s and 60s. 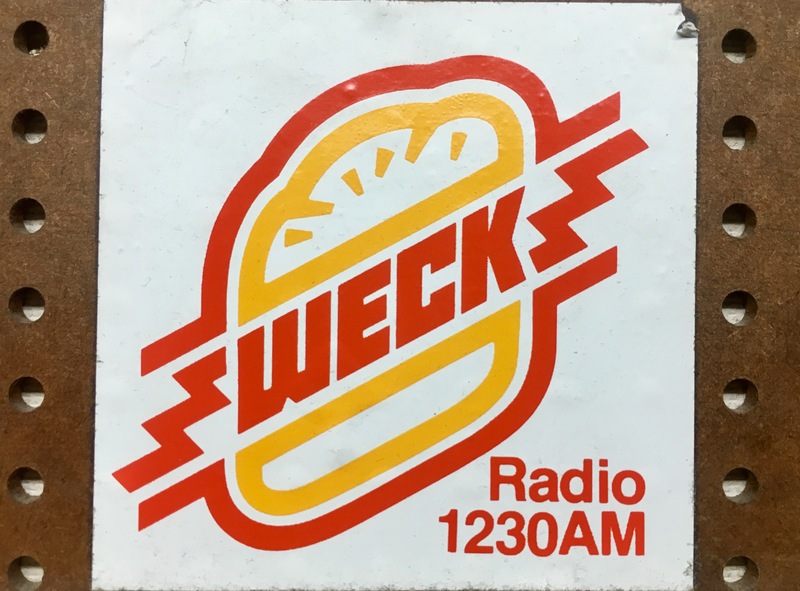 It was the 1230 theme song for years, Richard Maltby’s Midnight Mood would play every night at midnight… that’s a tradition we continue now at WECK each night as the clock strikes twelve. 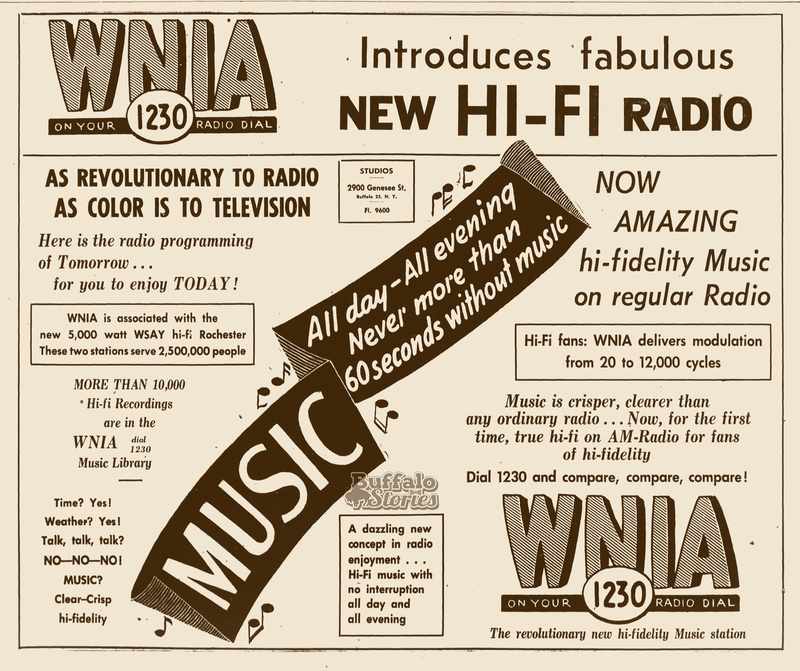 WNIA was a quirky station. The daily noon time Catholic prayers were bookended by rock ‘n’ roll music. 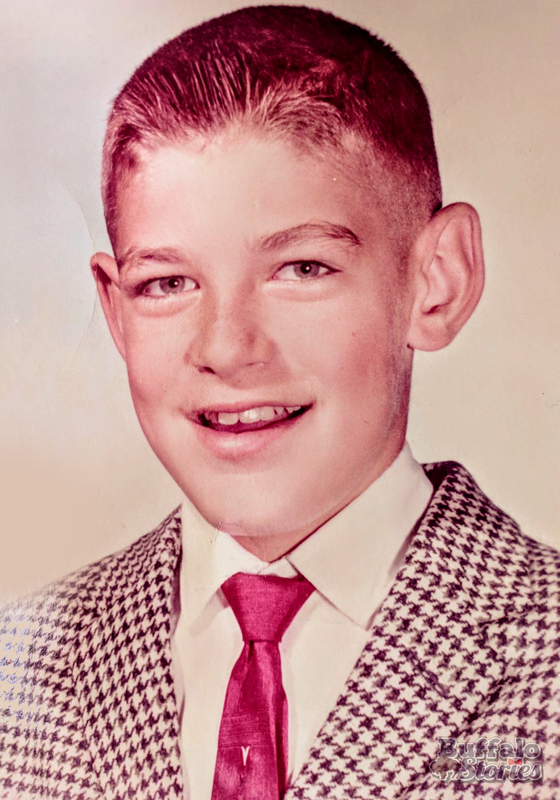 And if you listened to the station at all in those days, you probably remember that you should be big… be a builder. NO MATTER WHAT YOU ARE OR WHAT YOU DO, IF YOU ARE A BUILDER, YOU ARE ONE TO BE LONG REMEMBERED. 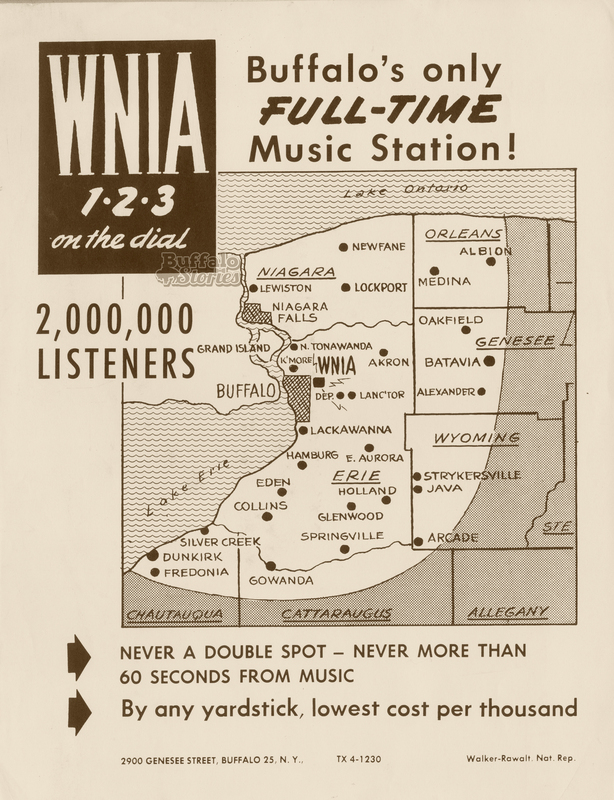 –as transcribed at http://www.flynnflam.com/wsay/bbbb.html, a website dedicated to remembering WNIA’s sister station, WSAY, in Rochester. The minute long diatribe, punctuated with the slogan BE BIG, BE A BUILDER, was the brainchild of station owner Gordon Brown. It was a reaction to the war protests of the late 60s, and now its a well-remembered part of Buffalo’s broadcasting history. Mac McGuire, Tommy Thomas, Mike Melody, and Jerry Jack all holding court in the Make Believe Ballroom during the 50s, 60s and 70s. 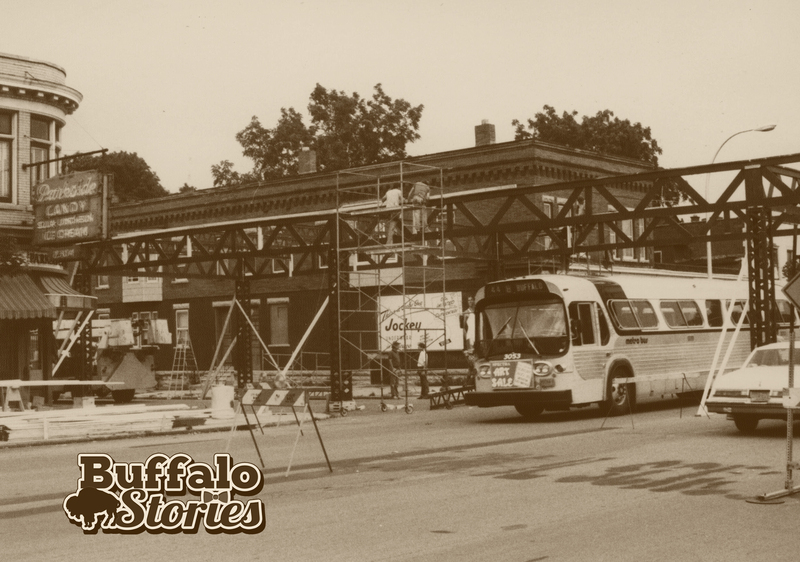 When the station was sold in 1977, the new call letters, WECK were selected to represent another Buffalo institution. 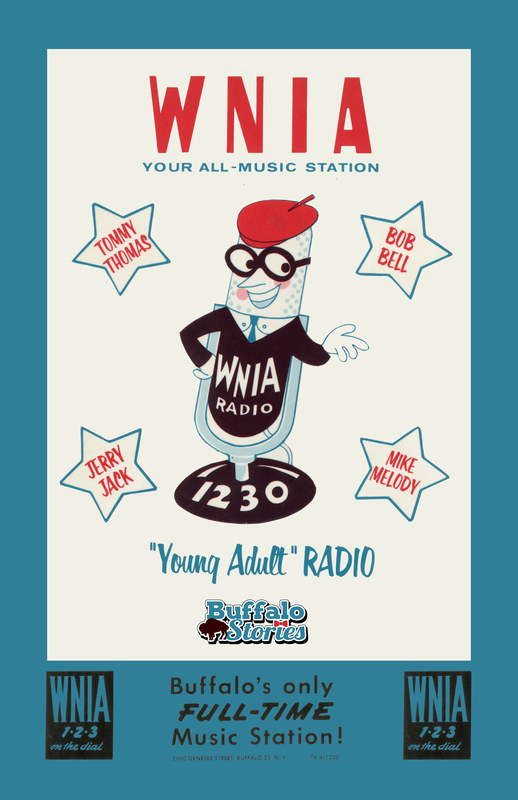 For 20 years, tiny WNIA had a powerhouse sized influence on rock ‘n’ roll radio in Buffalo, from the same ranch house we broadcast from on Genesee Street. 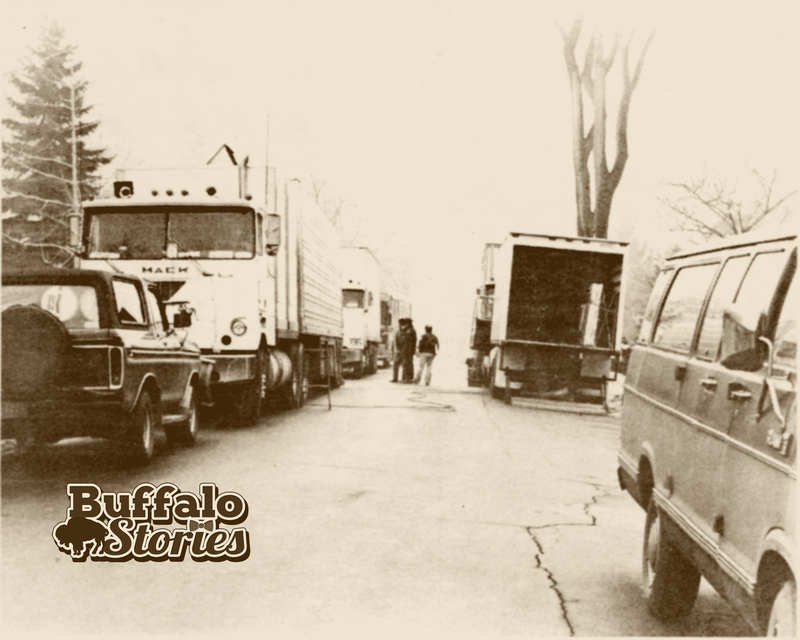 From Mike Melody’s “Make Believe Ball Room,” to “Be Big… BE A BUILDER,” to Richard Maltby’s “Midnight Mood,” WNIA and 1230am were very much a part of the tapestry that made up life as a teenager in Buffalo in the 50s and 60s. By the late 70s, those days were over, the station was sold. WNIA became WECK. The Roll that rocks. Get it? WECK Roll? Anyway, 1230 grew up with those 50s and 60s rock ‘n’ rollers and was spinning the disco tunes with DJs like Frankie Nestro. 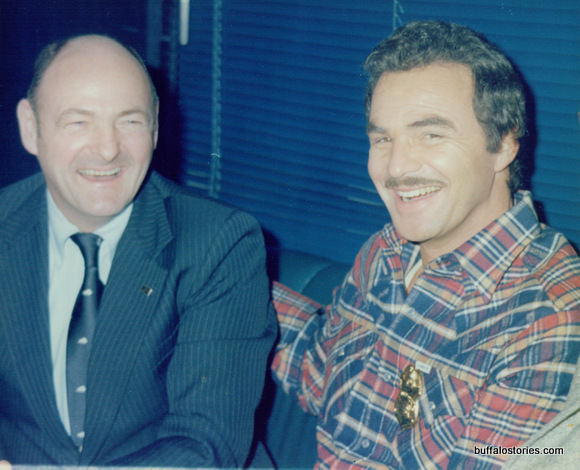 Burt Reynolds spent time in Buffalo during the shooting of “Best Friends” in 1982. 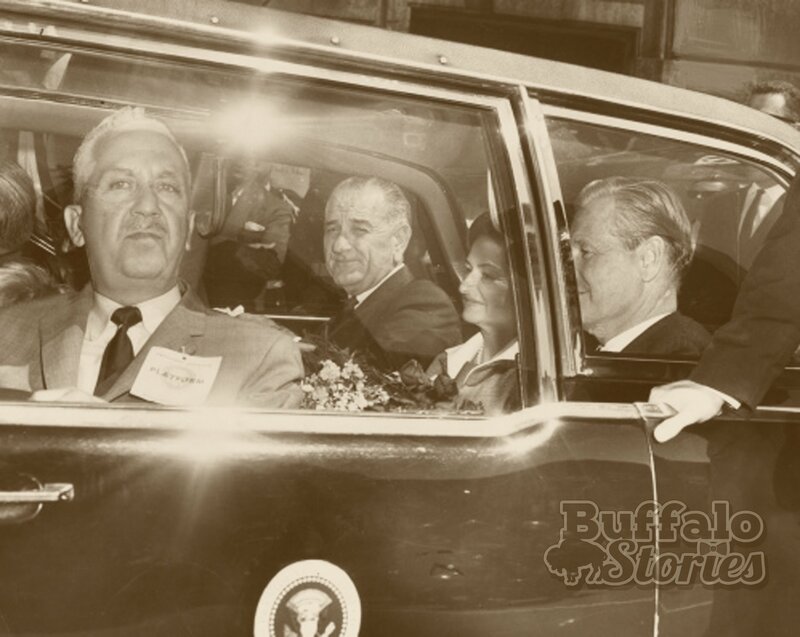 He happened to be in Buffalo for a bit of history. Reynolds and his co-star Goldie Hawn were at the Aud when Wayne Gretzky broke Phil Esposito’s single season goals record. Along with Oilers GM Glen Sather, Gretzky, Hawn, Reynolds and Espo celebrated with a photo in the Aud Club at Memorial Auditorium, in front of that amazing Sabres latch hook rug. Glen Sather, Wayne Gretzky, Goldie Hawn, Burt Reynolds, Phil Esposito, on the night Gretzky beat Espo’s single season goal record with his 77th goal of the season of the 1981-82 season. Like most good things in Buffalo in the 80s, Mayor Griffin played a small role in “Best Friends”– he can be seen as a kid’s hockey coach in one scene. Though usually thought of in terms of a staid, august, and venerable neighborhood, Parkside has also seen its share of glitz and glamour. For the same reason so many Buffalonians are attracted to its wonderful architecture and tree-lined streets, Hollywood producers have also taken notice over the years. Main Street mocked up to look like Chicago. Hollywood was back in Parkside the following year, this time at the corner of Main Street and West Oakwood Place for the shooting of The Natural. Glenn Close and Robert Redford spent a few days in August, 1983 at the Parkside Candy Shoppe. 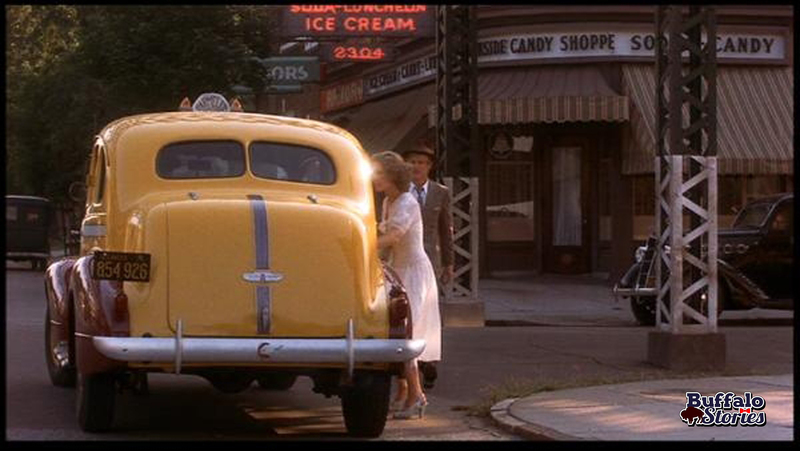 The no-nonsense long time owners of the ice cream parlor, Ted and Sandy Malamas, told the Parkside News in 1988 that they were impressed with Close, who garnered an Academy Award Nomination for her role in the film. Given their silence on the rest of the cast, one can draw ones own conclusion. from The Natural. Glenn Close and Robert Redford on Main St at W Oakwood Pl. The scenes shot inside the store were, according to the story, taking place in Chicago. A large matrix of I-beams was erected of Main Street at Oakwood to give the appearance of Chicago’s elevated train. Filming of the movie also took place at War Memorial Stadium and All-High Stadium, the Buffalo Schools field just up the street behind Bennett High School. Redford standing in roughly the same location as the above shot, from a different angle. After a twenty year hiatus from Tinsletown, Parkside returned to the small screen in 2003 as the setting for the MTV Reality Series Sorority Life. Season 2 of the show featured the Delta Xi Omega sorority from the University at Buffalo. Their sorority house for 2002 was at the southwest corner of Crescent and West Oakwood. Shooting for the show happened all over the neighborhood, but perhaps most publicly at Kostas Restaurant on Hertel Avenue, where cameras followed one of the sisters to work as a waitress. 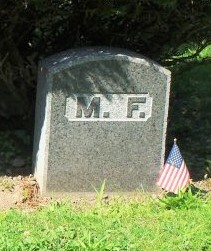 Parkside also played a dark role in a similar MTV show shot in Buffalo the following year. Three UB students were arrested after breaking into the Buffalo Zoo in 2003 as a part of a videotaped stunt for the show Fraternity Life. In an incident reminiscent of stunts dreamt up after a night of collegiate drinking at the Park Meadow two decades earlier, The pledges were to break into to the zoo, and take an animal home as a pet.